Fender has just announced its new Flame Maple Top Stratocaster! They seem to be going for a classic American guitar – with an added touch of class. 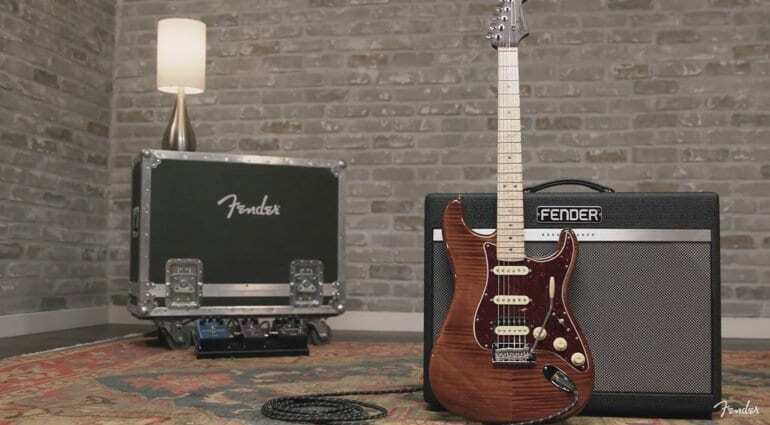 The new Fender Flame Maple Top Stratocaster is a part of its Rarities series. This one has a two-piece alder body with a lovely flame maple Golden Brown top and a solid rosewood neck capped with a flame maple fingerboard. 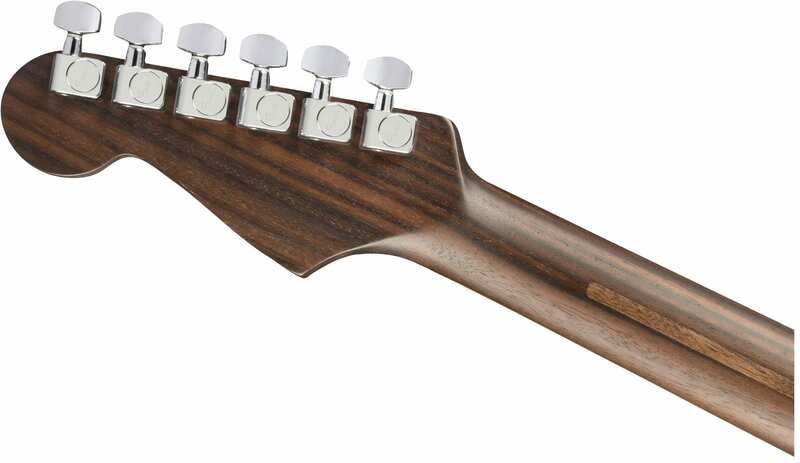 The neck is a “Modern C” profile with a 9.5”-14”-compound-radius, so pretty flat and suited to modern playing styles. 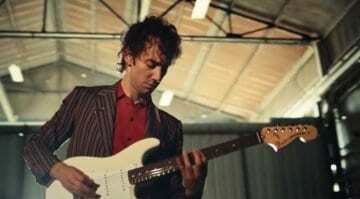 The guitar has Fender’s modern two-point tremolo system. I’d expect this to perform smoothly and hold tuning well. 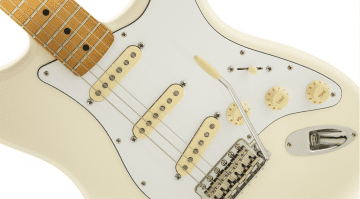 All makes for one pretty swanky Stratocaster – a touch more fancy than your average Strat. 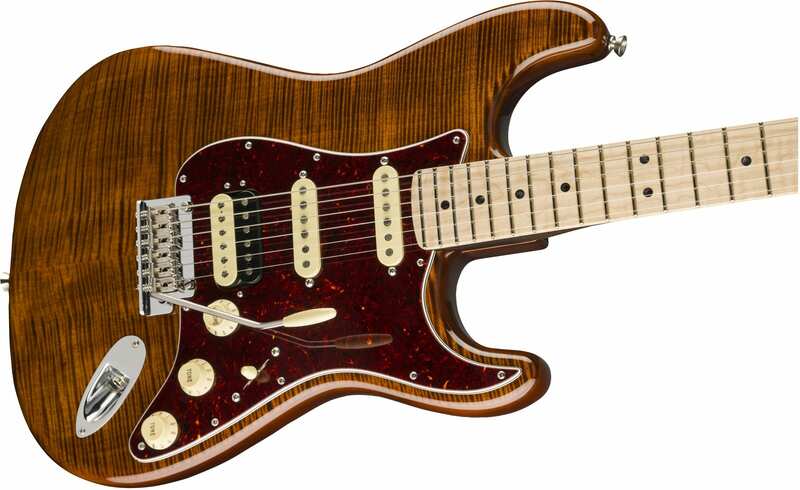 Fender released their new Flame Maple Top Stratocaster. This new model comes loaded with a set of Pure Vintage ’65 Strat pickups and a custom wound DoubleTap bridge pickup, all wired via a 5-way switch. It also has the Fender S-1 switch incorporated into the Volume pot as well. The S1 switching incorporates the DoubleTap technology that switches from a straight, full-on humbucking voice to a single coil sound Fender describes as ‘powerful’. This adds versatility to the guitar and should suit players after a bit more ‘poke’ in their bridge position. 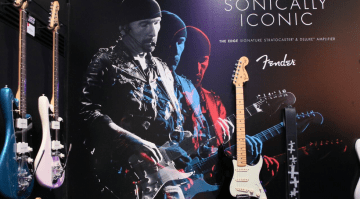 Fender solid rosewood neck – Nice! 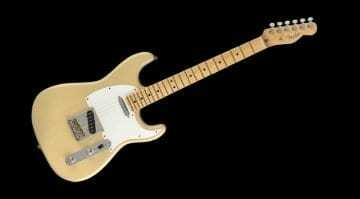 This new Rarities model is essentially a Strat on steroids. I think it will appeal to players looking for a classier, smooth ride. If you were looking for a PRS Silver Sky, Tom Anderson Drop Top or similar alternative to a regular Fender Stratocaster, Fender has a Strat in their range just for you!